Having a tied bow tie apposed to a clip-on bow tie does have a more refined look and really polishes a nice tuxedo outfit. However, tying a bow tie is a bit trickier than tying a straight necktie, but once it’s understood how to tie a bow tie, it’s a piece of cake. 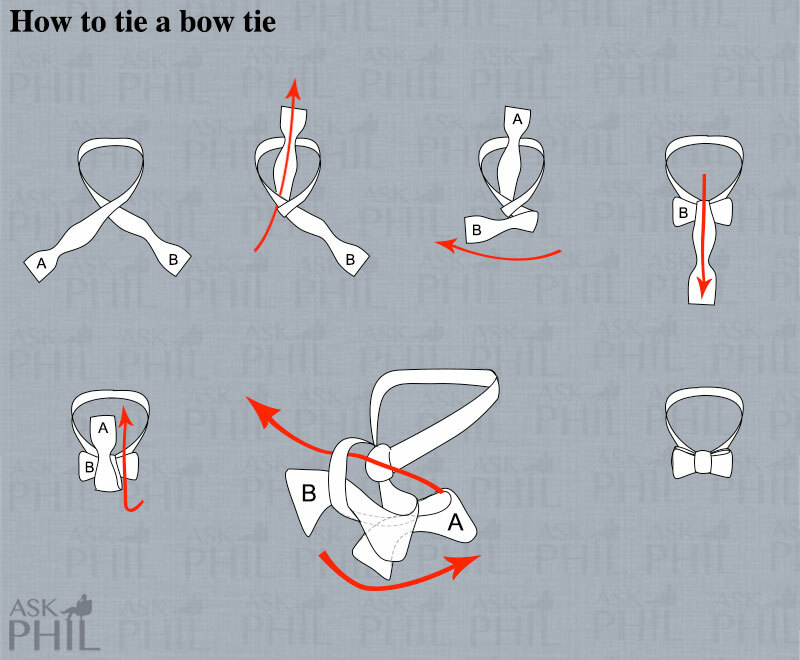 One very helpful item when learning how to tie a bow tie is a clearly illustrated step-be-step guide, such as the one provided here on Ask Phil. And although it’s helpful to have this illustrated how to tie a bow tie guide, it still does take practice to master the art of tying a bow tie.